In this new generation of publishing, e-books are being discovered by readers all over the planet. For those who have never read an e-book there is a mix of curiosity and not knowing what to expect. Once engaged in a fulfilling e-book, the reader sees the familiar and realizes a ‘good read is a good read” whether it comes by way of digital format, in-print on paper or through audio sound. Our life’s journey sometimes takes us into the unknown. We all have pivotal moments in our lives when we are confronted with dealing with new things. Like facing a blank canvas, getting started is the hardest part. For some, uneasiness comes with striking up a relationship with some newfangled electronic device. Whether we embrace a fresh opportunity, or not, is something that only each of us can decide for ourselves. Electronic reading devices allow fonts to be enlarged and clearly displayed. E-book selections are large and diverse. You can order a very affordable book and download it in less than 60 seconds. 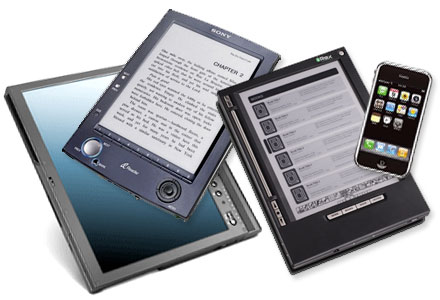 Electronic reading devices come in pocket size and are lightweight – some less than 6 ounces. Still skeptical? Kindle is now available for computers at no cost and there are plenty of free e-books to download. There is no risk in that. In 2012, www.AllThingsFulfilling.com will be highlighting authors who have given contemporary independent publishing a chance. We will be featuring writers who have invested themselves in e-book publishing and are doing quite well. Join us tomorrow for the first, of many to come, feature of e-book authors and their electronic books. Cheers! Here’s to a New Generation in Publishing!